Imagine this challenge: to write one play for four different reading ages. That’s what I was asked to do for The School Magazine. This is what I did. I chose a traditional tale that could be told by four different characters. ‘The Musicians of Bremen’ was ideal. Christopher Nielsen for ‘The Rooster’s Tale’ in Touchdown. 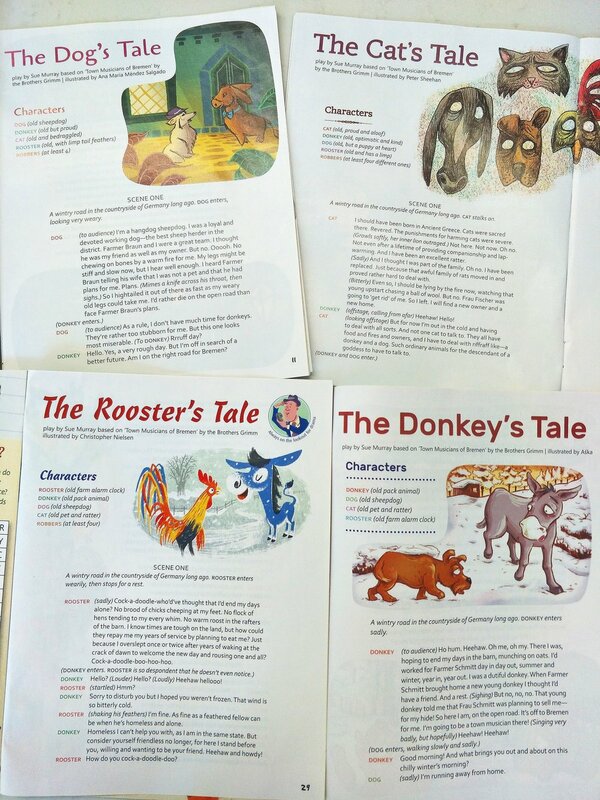 Students love the four titles of The School Magazine for the stories, poems, articles, activities and plays written and illustrated just for them. Teachers appreciate the magazines for the quality literature and ideas in every issue, and for the wealth of teaching and learning opportunities. These four plays offer a unique chance to compare and contrast the written and visual elements as one tale is retold four ways. If you don’t already subscribe, you can find out more about The School Magazine on their website.